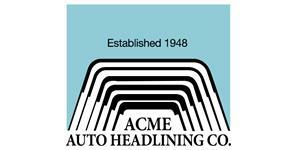 We no longer carry the 1988-89 Mustang Acme Deluxe Door Panels for Convertible w/ Power Window Sand Biege. 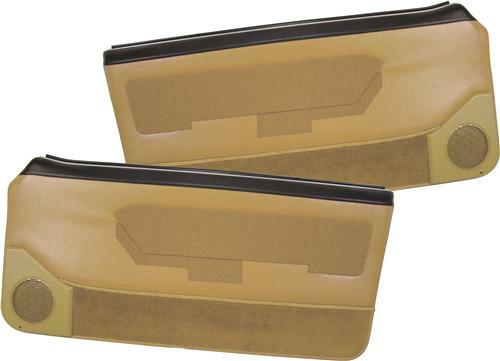 Check out 1979-1993 Fox Body Mustang Door Panels for an updated selection. Have the door panels in your Mustang seen better days? Get yourself a set of these pre-assembled deluxe door panels to bring your Mustang back to like new condition! This pair of fully assembled Mustang door panels includes new inner door belt weatherstrips, door lock knob grommets, speakers grilles, lower door carpet and cloth inserts. No assembly required, all you have to do is take them out of the box and install them on your Mustang using the included door panel clips. As far as Mustang interiors go there are only a few components that you will see or touch on a regular basis: carpet, seats, dash/console, and door panels. Out of this list door panels get overlooked probably more than anything else, but when you consider how your Mustang's door panel affects your overall driving experience you start to wonder why. During normal driving your left arm will rest on the arm rest that is secured to the door panel. Not only is the arm rest a handy place to set your elbow, but it also houses your window and door lock switches considering that your Mustang has power windows and locks. The door panel is not just there for convenience, it also serves an important purpose: blocking out excessive road noise that comes from the door cavity. Door cavities are a breeding ground for squeaks, rattles, knocks, and other annoying sounds. If your Mustang's door panel is ill fitting, not properly installed, damaged or missing these sounds will find their way into your interior and eventually drive you nuts! Do yourself a favor and pick up a set of these brand new, fully assembled, deluxe door panels. Install them with the brand new door panel clips (included) and drive your Mustang in peace! Your ears will thank you!